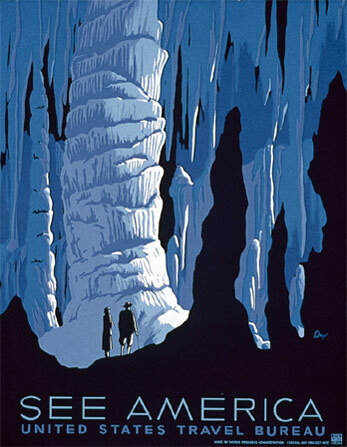 13 5/8” X 17 7/8” serigraph print--historic design & colors. 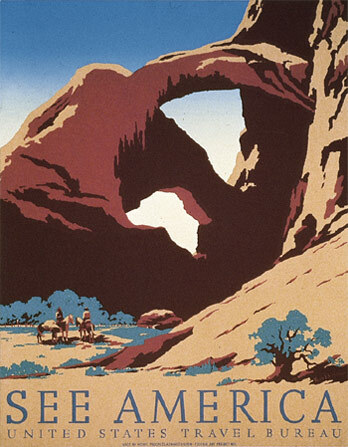 The See America posters prints were published by the New York poster project for the US Travel Bureau and were not part of the NPS poster set which was published in Berkeley California. I've reduced the size of our two See America posters to fit the other poster sizes. 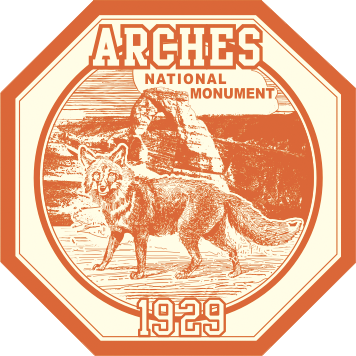 This print features Double Arch in Arches National Park. It also features the unique "split fountain" sky making each poster unique.